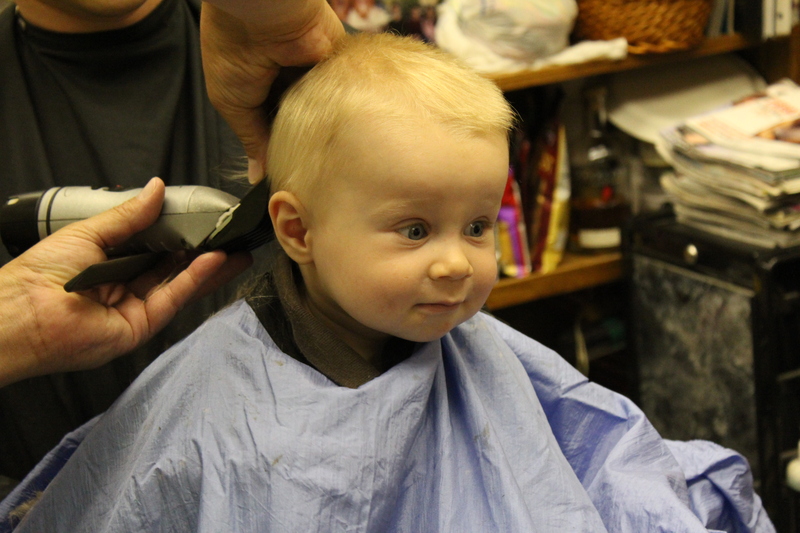 My son got his first haircut yesterday. It was a big deal. Well, a big deal for me anyway. 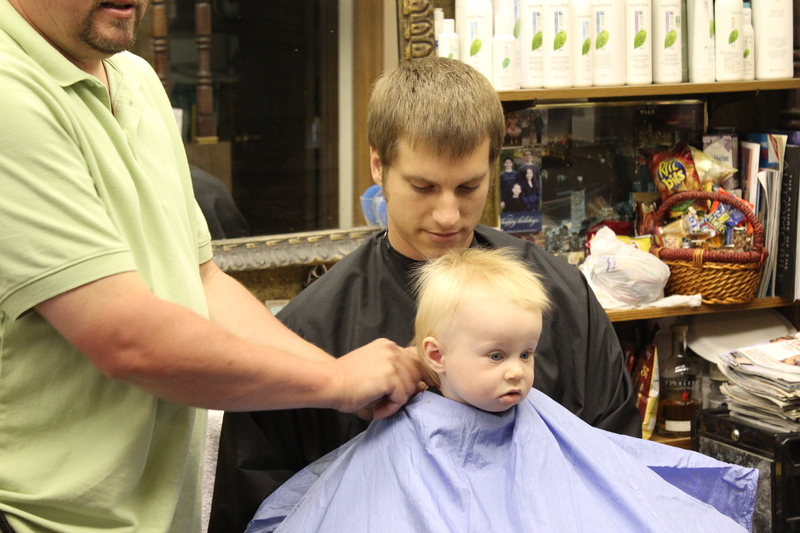 We went downtown and visited the same barber who gave my husband his first haircut. My in-laws were there too. We made it a family affair. 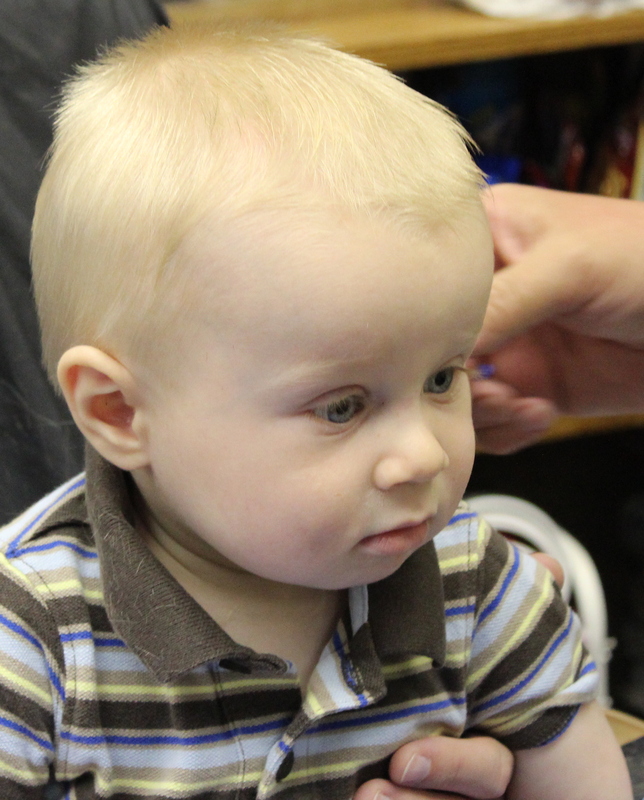 But my son, who is almost thirteen months now, doesn’t look like a baby anymore. 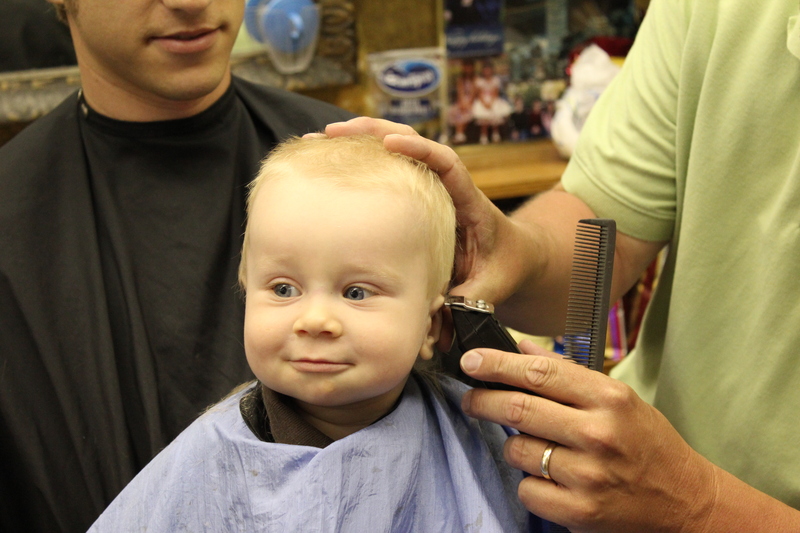 No more fine baby hair and wispy locks. He’s now officially a little boy. And a little bit of me was very sad. 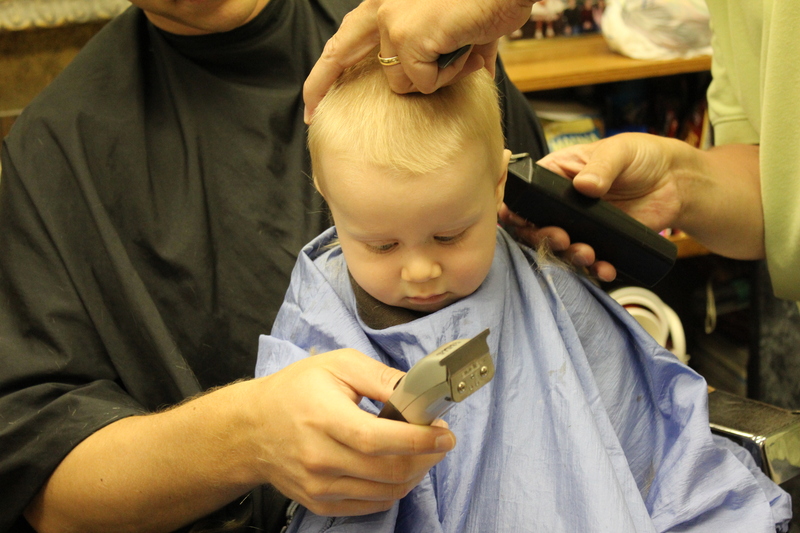 Now indulge me a bit as I share the haircutting process. It’s only a few pictures, I promise. Oh, he’s so darn cute sitting on Eric’s lap! We even got a bit of a smile out of him. 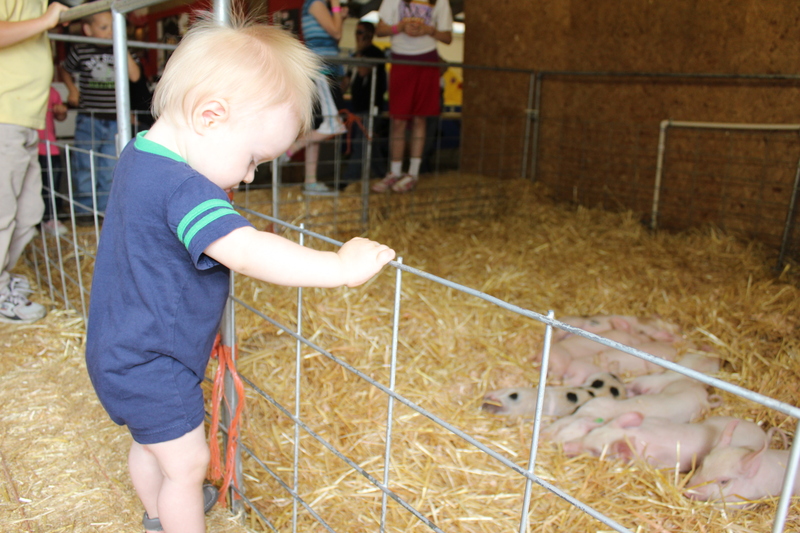 And of course attention spans aren’t very long, so we had to distract him a bit. 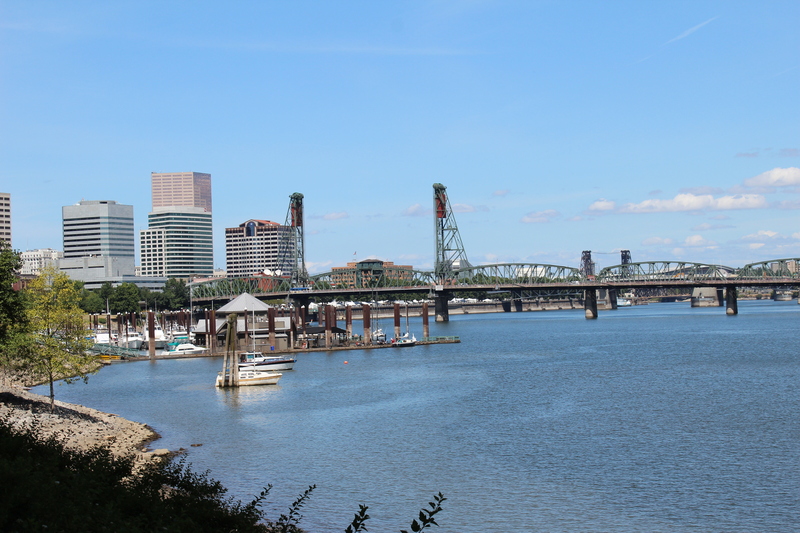 To celebrate this momentous occasion, after Matthew’s haircut (and many, many pictures), Eric and I walked around Waterfront Park in downtown Portland, shared an ice cream cone (and gave a little bit to Matthew), and discussed life. 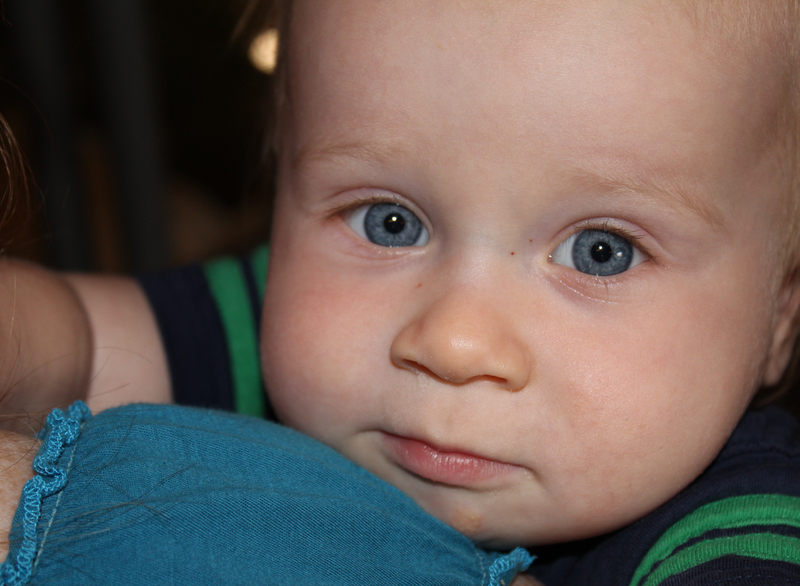 In honor of Matthew’s growing-up-in-an-instant moment, (and mine too! 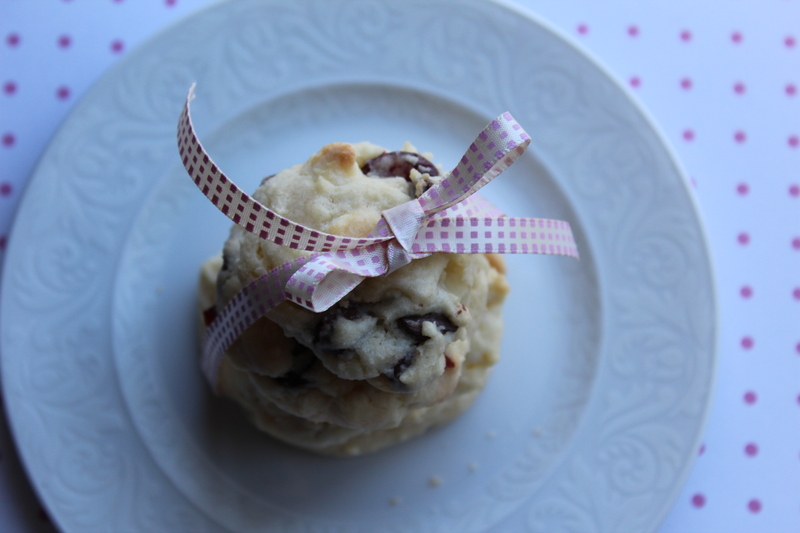 ), I decided to make grown-up cookies. 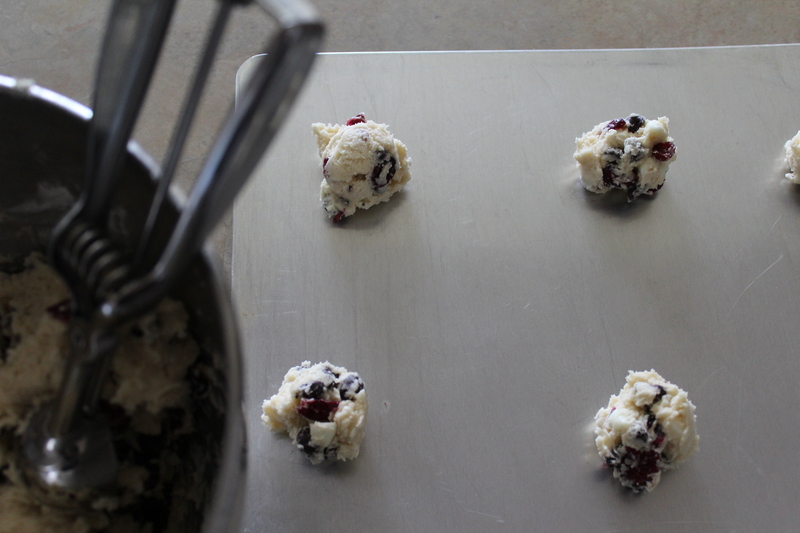 And to do that, I added dried cranberries, white chocolate chips, and dark chocolate chips to the batter. Just to spice it up a bit. I usually like to make my cookies smaller, so that I don’t feel guilty if I have more than one. Using a cookie scoop helps in that. They’re all the same. 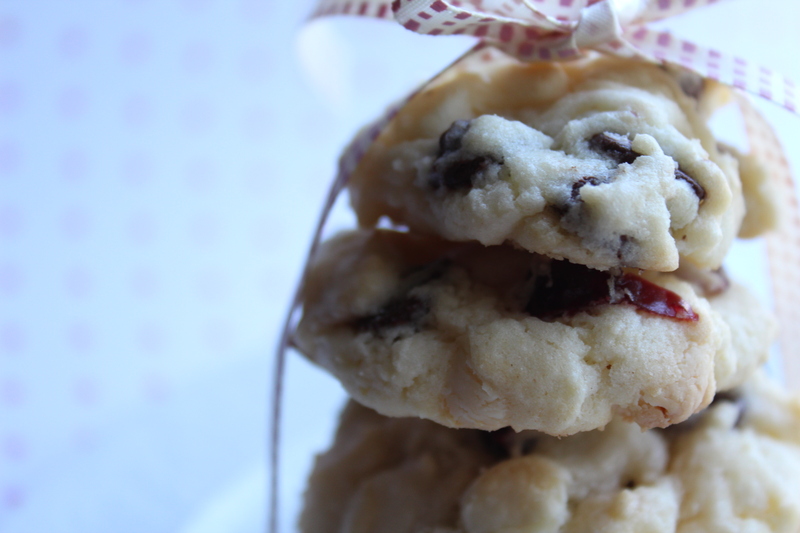 These cookies have the sweetness of the chocolate chips and the tartness of the dried cranberries. Perfect for a growing-up moment. Cream the butter in a mixer, about 2 minutes. Add sugar and beat on medium speed until light and fluffy. Add eggs, one a time, making sure it is incorporated fully before adding the next one. Add flour, baking powder, salt, and baking soda to creamed mixture. Mix on low speed until it is all incorporated. Add the chips and cranberries and mix on low until just dispersed. Using a cookie scoop, drop cookies onto cookie sheet and bake for 10-12 minutes, or until lightly browned. Cool on wire rack. Oh so cute! He’s adorable! Hey, you have an Eric, too! I like that. Adorable! 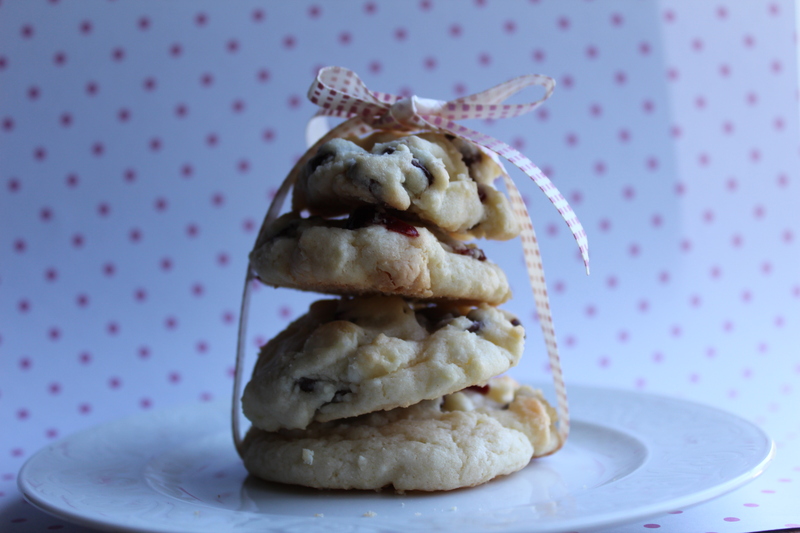 I love white choc cranberry cookies! Yummo! I love his new haircut! It is so cute! And the cookies look delicious too.